Time after time, guests at outdoor events enjoy the unmatched benefits of luxury mobile Royal Restrooms and shower trailers. 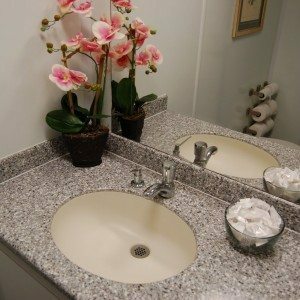 Top event reviews surprisingly often include our upscale portable restrooms indicating that the service enhances the overall feel and quality of an event. Royal Restrooms are designed to provide a regal portable restroom experience™ for every guest yet with conservation and efficiency in mind. Green event planners rely on Royal Restrooms for an impeccable product and service while having little impact on the environment. Contact Kristin Reynolds, Royal Restrooms of California, at (877)922-9980 for more information about an environmentally friendly and exceptional, luxury restroom service for your next outdoor event. Or contact your nearest Royal Restrooms office nationwide.